Windows 10 comes in various editions The Ultimate Windows 10 Activation & License FAQ The Ultimate Windows 10 Activation & License FAQ One of the big confusions surrounding Windows 10 concerns its licensing and activation. This FAQ will shed some light, explain what has changed with Windows 10 version 1511 (Fall Update), and translate activation-related error codes. Read More , each with a slightly different feature set. 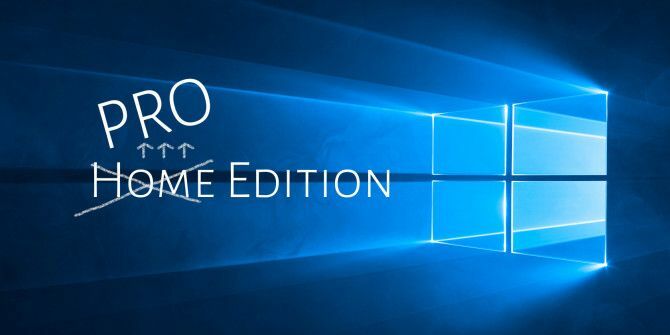 If you’ve been using Windows 10 at home, you’re probably running the suitably named Home edition. If you would like to upgrade to the Professional edition, for example to be able to defer Windows 10 updates How to Manage Windows Update in Windows 10 How to Manage Windows Update in Windows 10 For control freaks, Windows Update is a nightmare. It works in the background, and keeps your system safe and running smoothly. We show you how it works and what you can customize. Read More you have multiple options. 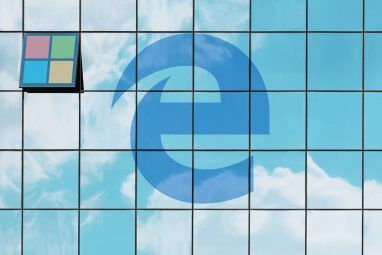 We’ll give a brief comparison of the Home and Pro editions of Windows 10, before offering up three strategies to upgrade from the former to the latter. If you’re thinking about upgrading your version or have already done so, be sure to share your thoughts in the comments section below. Everything that the Home version offers can be found within Pro. As such, you’re not losing out on any feature by changing versions – it’s just an upgrade. Pro offers a number of additional features when it comes to areas like security and control of updates. Let’s look at a few. Windows 10 has forced updates Pros & Cons of Forced Updates in Windows 10 Pros & Cons of Forced Updates in Windows 10 Updates will change in Windows 10. Right now you can pick and choose. Windows 10, however, will force updates onto you. It has advantages, like improved security, but it can also go wrong. What's more... Read More , which means that you don’t get a choice in which updates you get, nor when you receive them. Home edition users get no leeway with this, but those on Pro have the ability to opt into the business branch. This means that the updates will only be pushed through once they’ve been trialed by Home users and deemed reliable enough to go out to the more sensitive business market. BitLocker is another feature that Pro users get. This allows you to encrypt internal and external drives 10 Simple Windows Tricks You're Missing Out On 10 Simple Windows Tricks You're Missing Out On You use your computer day-in day-out. You better not waste time! There's much more to Windows than first meets the eye and we're here to show you its full potential. Read More , plus create encrypted container files. Data security is hugely important and encryption is a very valuable process in keeping your files safe. 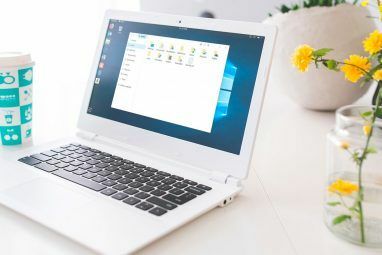 While there are many third-party encryption tools TrueCrypt Is Dead: 4 Disk Encryption Alternatives For Windows TrueCrypt Is Dead: 4 Disk Encryption Alternatives For Windows TrueCrypt is no more, but fortunately there are other useful encryption programs. While they may not be exact replacements, they should suit your needs. Read More available, it’s great to have one built-in to Windows. A third, though not final, feature that Pro offers is the ability to create virtual machines Migrate to Linux without Leaving Windows Behind with a Virtual Machine Conversion Migrate to Linux without Leaving Windows Behind with a Virtual Machine Conversion You can have the best of both worlds: Merge Linux with your Windows setup. We show you how to import your complete Windows system into a virtual machine running in Linux. Read More . This is handled through a utility called Hyper-V. With virtual machines you can emulate other operating systems within your existing one, which is great for running software not available on your main operating system and for testing. Before you consider upgrading, you might want to find out what edition of Windows 10 you are running in the first place. Press Windows key + I to launch the Settings menu, then head to System > About and check what it says under Edition. If your system check reveals what you already knew, that you’re on the Home edition, and if you’d like to upgrade, here are three ways you can go about it. First, press Windows key + I to open the Settings menu. Then click Update & security, then select Activation from the left-hand navigation. Now click Go to Store. A new window will open which will give you a brief overview of the features that the Pro version will offer you over Home. Since you don’t own a copy of Pro, you’ll have to pay for the upgrade. To begin the process, click the price within the blue button (e.g. $99). User Account Control might open at this point and ask if you want to run the Change Product Key app. Click Yes. Now enter the password to your Microsoft account and click Sign in. A box will open which will warn you that the purchase is immediate and not subject to any “cooling-off” period. If you haven’t used the Store in the past, click Get started! Add a way to pay. to use a credit card or your PayPal account for the purchase. When ready, click Buy. Your system will begin downloading the necessary update and your existing Home license key will automatically become a Pro one. If you’ve already got a Pro license key, it’s very easy to upgrade. First, press Windows key + I to open the Settings menu How to Control Windows 10: The Settings Guide How to Control Windows 10: The Settings Guide The Windows control panel is on its way out. Its replacement, the Settings app, has received a significant upgrade in Windows 10. We'll reveal all its secrets for you. Read More . Then select Update & security, followed by Activation from the left-hand navigation. Now click Change product key. Depending on your system settings, User Account Control may ask if you want to run the Change Product Key app. Click Yes if this occurs. A window will open where you can enter your Pro product key. Type it without the dashes because they’ll be added automatically. Once you’ve typed your code it’ll be verified for authenticity. When that’s complete, a new message will appear that reminds you to save your work and close any apps before the upgrade. When ready to begin, click Start upgrade. Your system will download the Pro update and then apply it, during which it’ll reboot a couple of times. If you want to perform a fresh install of Windows 10, one way to do that is by using the Media Creation Tool. The problem is that this tool automatically detects your existing Windows edition and uses that. So if you’re on Home, you can’t upgrade to Pro during the process. However, Into Windows has found a workaround. 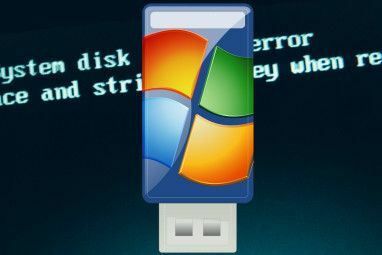 First, create a bootable USB of Windows 10 by following the instructions in our Get Windows 10 guide Make Today Your Launch Day: Get Windows 10 Now! Make Today Your Launch Day: Get Windows 10 Now! You're eager to install Windows 10. Unfortunately, you missed the Insider Preview and now it's taking a while until the upgrade will be rolled out to you. Here's how to get Windows 10 now! Read More . Once complete, navigate to This PC (do a system search for it if needed) and open the USB drive. The next step is to download a config file which Into Windows has created [No Longer Available]. Please note that we take no responsibility for files downloaded from external sources. Extract the zip and move the ei.cfg file into the Sources folder on the USB. Now boot to the USB and follow the installation process through. You’ll find that you can now choose exactly which version of Windows 10 you want – in this case, Pro. If the features of Pro are enticing you to it, have no fear with the upgrade process – hopefully you can see how simple it is to perform. Plus it won’t take much time either, so you’ll be back up and running with additional features like BitLocker and Hyper-V in no time. To note, if you don’t currently have Windows 10 and aren’t eligible for the free upgrade Windows 10 Upgrade - Free Doesn't Mean It Won't Cost Anything Windows 10 Upgrade - Free Doesn't Mean It Won't Cost Anything There's a catch to the free Windows 10 upgrade. Microsoft understands its audience all too well; they are more likely to pay for the freedom of control, rather than for extra features. Read More , it’s cheaper to buy Windows 10 Pro outright than it is to buy Home and then go through the upgrade process. Have you updated your Windows PC from Home to Pro? What features of Pro do you enjoy the most? Asana is way better than Wunderlist. Thanks, Gordon, that worked great! I used method 2, entered the default key you mention, and let it go. A few reboots later, I had an unactivated Win10 pro system. I went back into the Activate dialog, which was complaining that it couldn't talk to the activation servers; I just ignored this (my internet connection was fine). There was now an Activate button, which I had to click a couple of times; this finally caused a second "Change product key" button to show up lower in the dialog. I clicked on that, entered my old Win 7 Ultimate key, and voila, I now have an activated Win 10 Pro system! Yes John and Ben. Using the key supplied in the article and following the instructions from this article I was forced to purchase a full 199.00 install and not the 99.00 upgrade I could have performed had I never seen this story. Using the pro key listed above allows the upgrade to begin. After the upgrade, Windows reports that the key is now bad and has already been used by another computer, so you now have NO key. Now you don't get the 99.00 upgrade. You are forced to pay the full price of 199.00. Not very happy right now. Unfortunately (begrudgingly really) I'm floating the same boat with you, I know how you feel. Was this using the key that Gordon Hay provided in his comment, Jerry? I've heard of this being a 'generic' key (further discussion can be seen on reddit: https://www.reddit.com/r/Windows10/comments/3dfda8/build_10240_did_you_get_assigned_a_licenseproduct/), but I've never attempted using it myself. Thanks for giving others the heads-up on the issue. Has Microsoft delivered a fix to the 1115 update that crippled BitLocker for some users? I haven't heard. Since some business and government entities require BitLocker capability, it's necessary my business laptops have Windows 10 Professional. But crippled BitLocker could jeopardize my ability to contract where BitLocker is required. Hence, I'm stuck without the November Update, until I'm certain I'll be able to keep the only Windows 10 Professional feature that matters to me. Went from Home to PRO. Now I'm getting pestered to activate. Can I go back to HOME edition? Yes, I too, would really like to know of the same. to complete the upgrade to Pro, then activate it with the users own Pro licence key. This method is also an alternative to changing the config file on a bootable USB detailed in Method 3 - simply install Home from the media creation tool then follow the steps to upgrade to Pro and activate it.